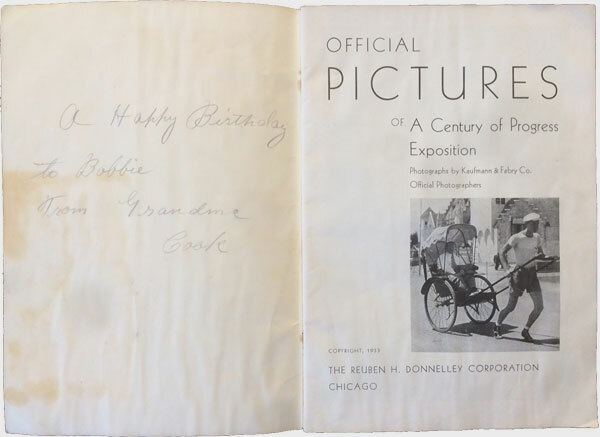 Photographs by Kayfmann & Fabry Co.
Reuben H. Donnelley Corporation, Chicago, 1933; 64 pp. 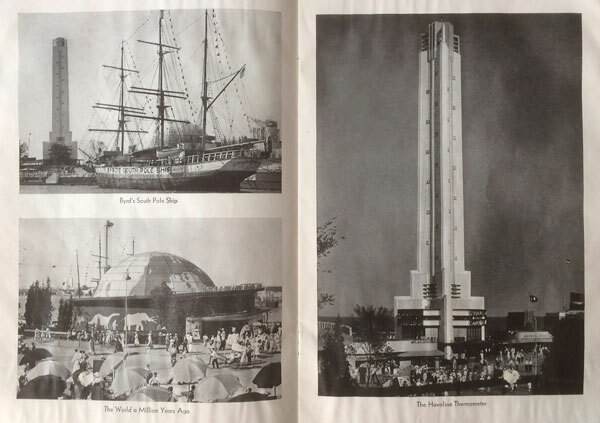 This hard-to-find, out-of-print black and white photo pamphlet chronicles the 1933 Chicago Century of Progress Exposition, the city's second world's fair 40 years after the original Columbian Exposition. 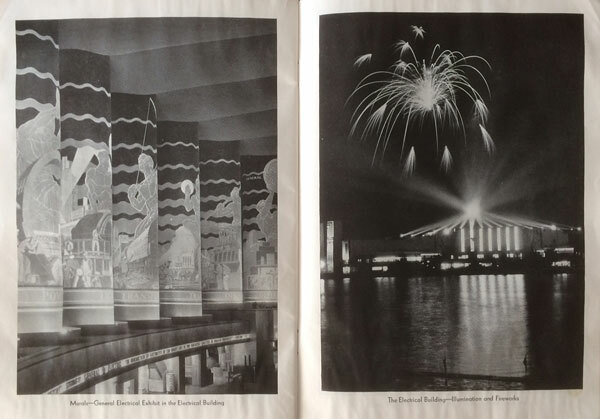 It contains glossy black and white halftone photos back-to-back on both sides of the unpaginated pages. 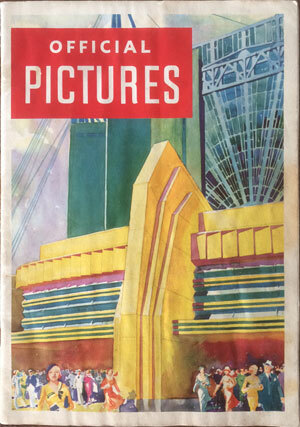 It measures 10" x 7" with stiff color wrappers featuring a watercolor rendering of a portion of the main facade of the Travel and Transportation Building. 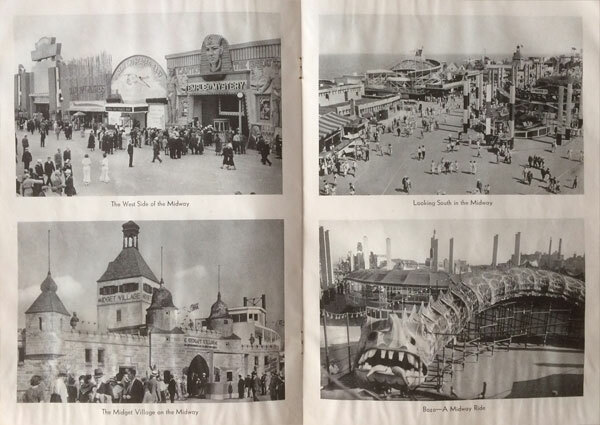 Photos include: country, state, commercial, and general exhibit buildings, Sky Ride, Lagoon, gardens, fountains, Oasis, Hawaiian Village, Midget Village, Panoramas, houses, and Midway, among others. 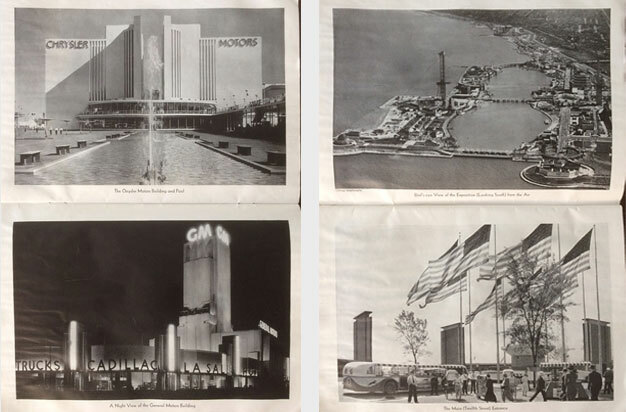 Front and rear covers, title page, and several sample photo pages are shown below. CONDITION: This copy is in VG+ condition, binding is solid, no chipping or other damage. 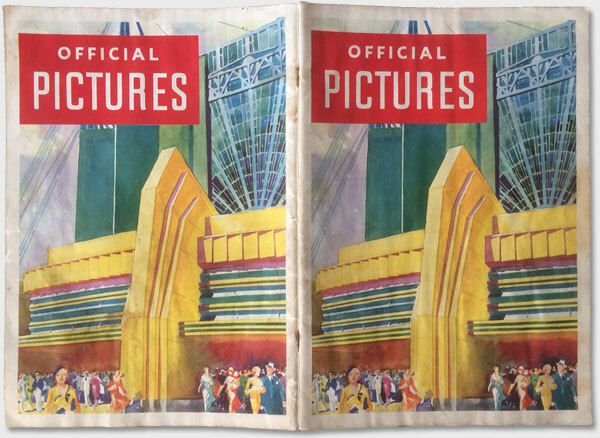 However, the entire book is lightly dampness wrinkled, as seen in the images below. In addition, there are some stains and discolorations on the inside and outside of both covers, as well as a pencil inscription on the inside of the front cover.